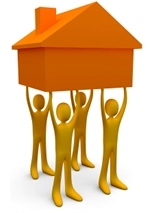 Residential moving can be a stressful and tricky situation. That.s why you need an experienced company like Hallandale Movers to ensure a safe transport of your most precious belongings. We understand how much your furniture, appliances and valuables mean to you, and we will ensure they are delivered to your destination in pristine condition. Our unique packing techniques ensure that all your valuable possessions arrive safely and free of damage. A well packed home is moved more safely and efficiently, the degree to which you want us involved is completely up to you. If you choose to pack yourself, we can provide packing materials including small, medium, and large boxes, dish packs, special boxes for pictures and lamps, tape, packing paper, and bubble wrap. Other options include our expert movers packing everything for you or meeting half way in between. Whether you're tired of worrying about your valuables breaking or you are simply too busy to pack, trust our professional crew to professionally wrap and move everything. Be assured that all your belongings, whether antique, fragile, large or small will be safely handled, wrapped and packed. All mattresses and soft furniture will be carefully covered in plastic wrapping to prevent soiling. Furniture requiring disassembly will be re-assembled by our staff at your new home. Special care is taken with packing and moving all of your technology items as well.